Avengers A.I., Sam Humphries and Andre Lima Araujo. Ever wanted to read a book where instead of mutants cast as the marginalized outcasts of the Marvel Universe, it’s robots? The book regurgitates the same motifs and themes as most X-Men books but with lots of technobabble thrown in. Not nearly as clever as it thinks it is. Grade: D-. A waste of Vision and Hank Pym, it’s all just a rehash of old Ultron stories, something that may be valuable to Marvel’s backlist moving toward the next Avengers film, but nothing new is being said with the material. Mighty Avengers, Al Ewing and Greg Land. 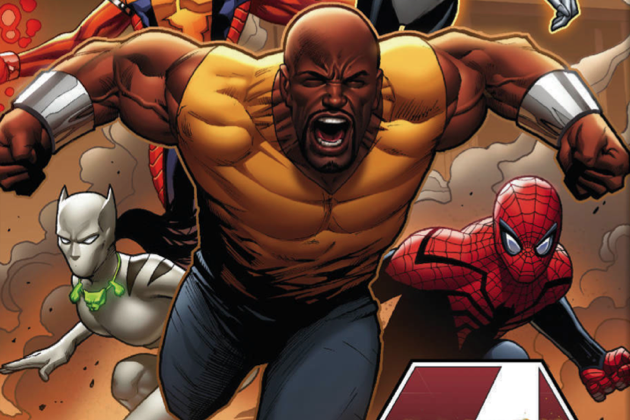 A celebration of Marvel’s heroes of color, this book has morphed into a sort of everyman Avengers. Ewing gets the character dynamic that makes up a good team book and new ideas and combos of characters come fast and furious. It’s a pleasure to see characters like Blue Marvel, Spectrum, and White Tiger get a much deserved spotlight. Seems like the little book that could with a restrained Greg Land on art chores. Grade: A-. A fresh take on the Avengers concept. Superior Foes of Spider-Man, Nick Spencer and Steve Lieber. The best book you are not reading. Every issue has at least three to five laugh-out-loud moments. Seriously. Lieber is the best comedic artist working in comics and these under-used Spider-villains have never been more alive. Simply cannot be missed or overlooked. Grade: A+. Bravo, Marvel for taking a chance on such an uncommercial title. If you call yourself a comics fan, you owe it to yourself to read this book. One of the best heist books in the history of the medium. Superior Spider-Man Team-Up, Chris Yost and David Lopez. About what you expect, Octo-Spidey teaming up with the heroes and villains of the Marvel Universe. It’s fun to see Ock’s old allies through his new heroic eyes, but the book is a mixed bag depending on the guest star. Grade: C+. Fun, but non-essential. 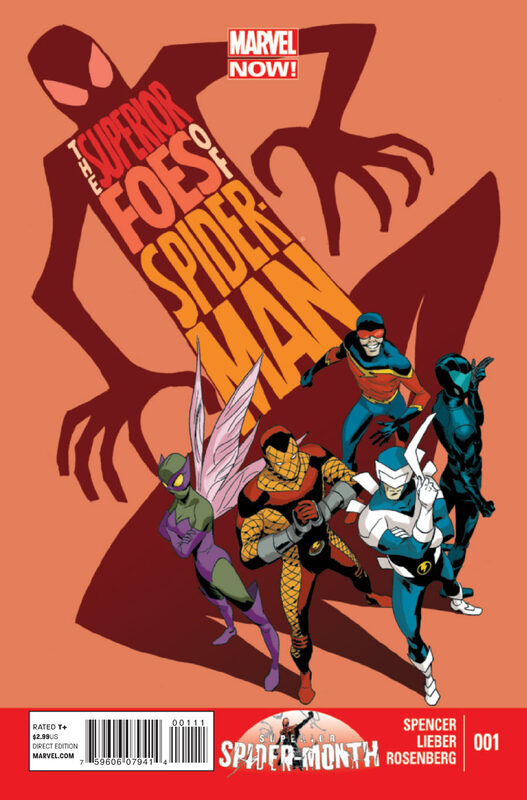 I LOVE Superior Foes of Spider-Man! I’d love to see a Rogues ongoing series at DC like this.